Sometime you forget the folder or driver name from where the file we are using or sometime we need to move other folder or drive to edit, copy, paste or whatever the reason. Or sometime we need to access or open the file from same folder or drive which we are using currently. So for all these I have only one key to know which Folder/Drive file we are using. 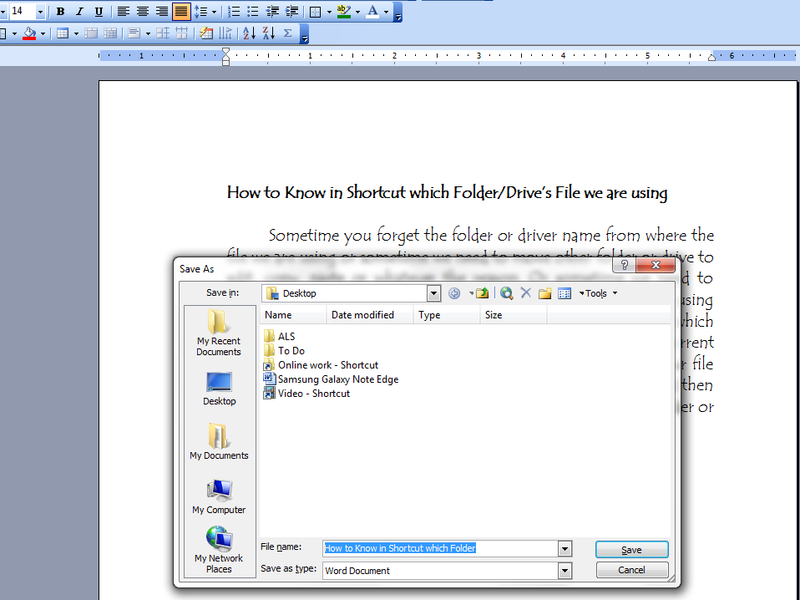 Just press F12 it will show you current folder and drive you are using and you can open or access your file from there. You don’t need to go in drive and search folder and then open the files, just press F12 it will take you direct to current folder or drive you are using.